I love trains. I’ve ridden Amtrak across the US. 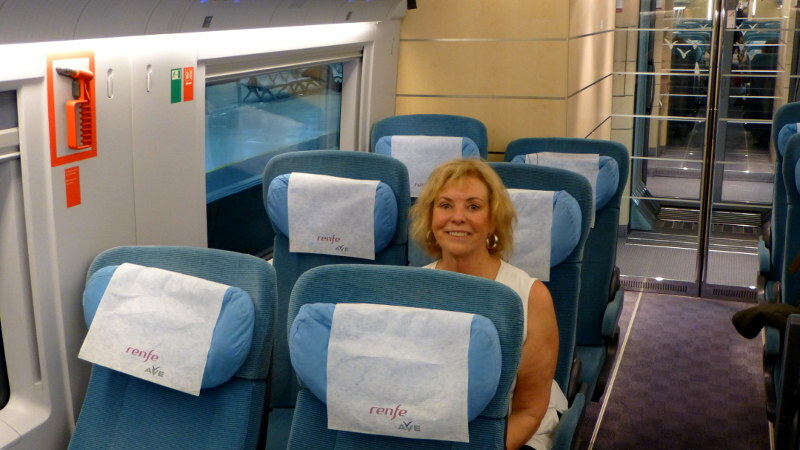 I’ve ridden France’s TGV. I’ve appreciated steam, diesel, and electric; streetcars, light rail, and freight. To that list, I can now add the LGV Perpignan–Figueres, a high-speed train the last leg of which – to Girona – was completed a little over two months ago. The train is new. The tracks are new. The tunnels are new. The stations are new. In an earlier post, Louise indicated that the Girona LGV station – completed only a few months ago at a cost of 23 million Euros – still smelled of fresh concrete. Last week, the LGV was “only” traveling at 200 km/h on its new tracks (it’s designed for 350) and at that speed, it was … well … uneventful. It was smoother than Amtrak at half that speed, as efficient as Martha Stewart, and quiet as a confessional on Saturday night. 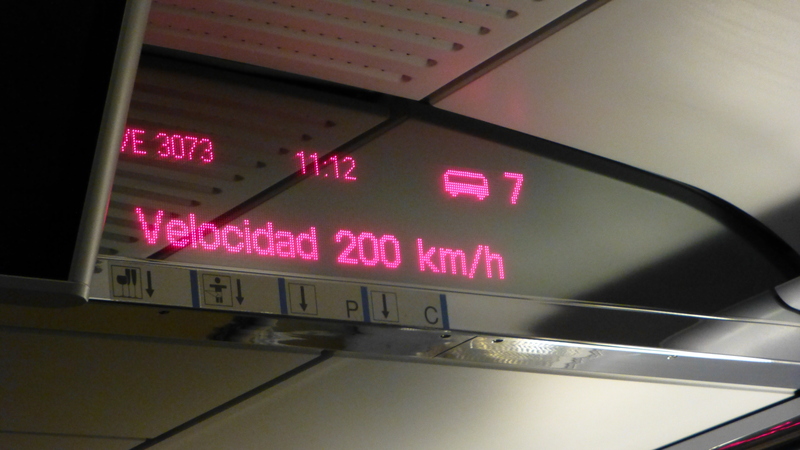 Which pretty well sums up European high-speed train travel. In Barcelona, the train station is blooming with posters advertising downtown Paris in a little over five hours. A Parisian weekend! Oh sure, we could fly — and do the airport thing, and sit in a seat built for Danny DeVito, and take cabs to and from the city, and arrive downtown in about, well, five hours. But me, I’d rather look out a big window, watch the European countryside, and maybe bring a little Grey Poupon to spread on my toast points. On a train, nobody cares if you pack a six-ounce jar. “quiet as a confessional on a Saturday night.” Very evocative for this RC boy. Not being RC myself, I’m really not qualified to draw that simile, but I suspected it was appropriate. Thanks for checking in, Bernie! Could be difficult at 200 km/hr. Mustard fail! What a wonderful way to go to Paris. I love European trains. The last trip we took here had great scenery, Salem to Klamath Falls, slowly, over the river and through the woods. We traveled in coach. There were characters to encounter, my oh my. Thanks for the reply Anita. I’ve ridden the Coast Starlight many times. Heading north, the Starlight is occasionally late and crosses the mountains in daylight. It’s a truly beautiful sight. See? I said something nice about Amtrak’s on-time record! Yes, you did say something nice. I had the wonderful experience of a very late train coming north from Redding. My brother lives near Redding. Anyway, if they had been on time, I would have missed all the scenery past Shasta Dam, Mt. Shasta, the lower Siskiyous, Klamath Lake and so forth. It was a long wait to begin with, but oh my, the scenery could take one’s breath away.